Have you tried all the ways to eject a CD from Mac but still can’t get it out? Don’t panic as this is a very common problem. Explore this article for techniques to eject a CD from Mac. Are you using a MacBook for the first time and are all worked up because you can’t find the eject button on the disc tray to get the CD out? This, no doubt, is a bewildering situation. However, here’s a life line for you- there are no eject buttons built in Macs unlike other ‘windows’ based computers! This is the case in both Mac laptops and desktops. Nevertheless, there are a set of techniques to eject a CD or DVD from your Mac. 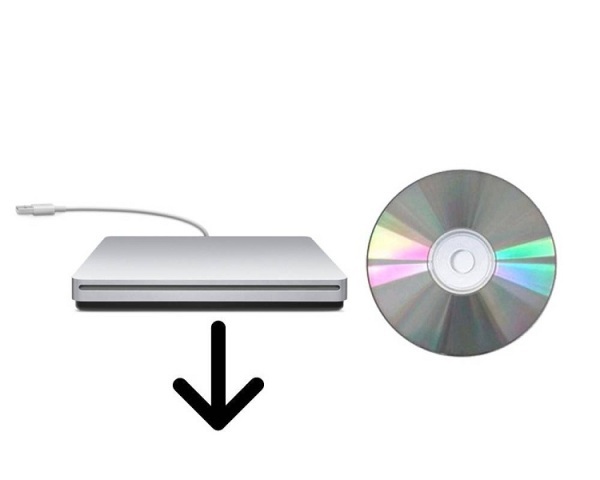 Read on for all the help you need to eject a CD or DVD from your Mac. You will also find the following sections helpful if a CD/DVD gets stuck in the drive tray. In case you are still unable to fix this up, then you need to get in touch with ‘Apple authorized service provider’ or ‘Apple technical support’ to get it repaired as there could be a different reason for the CD being stuck, and only a professional expert should handle it. Instead of an eject button on the disc tray, you’ll find a ‘media eject key’ at the top right corner of the keyboard in all Mac computers. You may simply press this key and the CD tray will eject the CD. If a CD is inserted in a Mac, the desktop will display an icon for it. Just drag this CD or DVD icon to ‘trash’ and the disc tray will open. You can now retrieve the CD/DVD. Yet another effective technique is to reboot your system. First choose the ‘restart’ option from the ‘Apple menu’. Hold the mouse button or track pad button down during the restart process. By doing so, you will see the disc eject by the time the log in screen appears. Another way is to press and hold the F12 key on the keyboard until the disc tray opens. You may have to hold it for several seconds until it works. You can also open the ‘disk utility pane’ and select the disc. Now, open the tray by choosing the ‘eject’ option. In an ‘iTunes’ application, you can find the eject option in the toolbar or menu. So, if you don’t have it already, then launch the application, use the ‘finder’ to locate the CD or DVD that is in the tray, and then eject it from iTunes. You will find a button on the left, right under the name of the disc and that will enable you to eject the CD or DVD. Restart your computer and while you hear the startup sound, hold down the ‘option key’, ‘command key’, ‘O key’ and the ‘F key’. The key with an apple sign on it is the command key. Release the keys when the white welcome screen appears. Now type “eject cd” at the prompt and press the “Return” key. Wait for a few seconds till the disc drive ejects the CD and “OK” appears on the screen. Type “mac-boot” at the prompt and press “return” to exit. With this done, your system will start up normally and you will see the Mac OS X desktop once again.